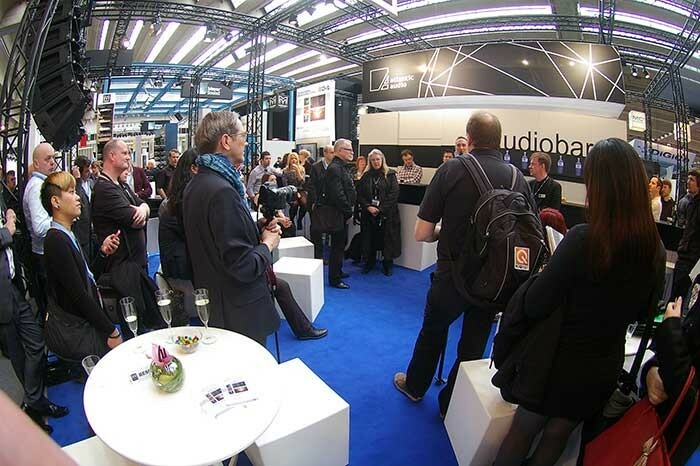 Martin Audio can reflect on its most successful trade show appearance ever following its participation at this year’s Frankfurt Prolight+Sound Show. Sharing its stand with German distributor Atlantic Audio the centerpiece was the global premier of the keenly-anticipated MLA Mini loudspeaker array. Partners and customers from around the world flooded the booth — all wanting to be among the first to witness this third generation deployment of Martin Audio’s unique and award-winning Multi-cellular technology, following the successful launch of the original platform at the same show three years earlier. 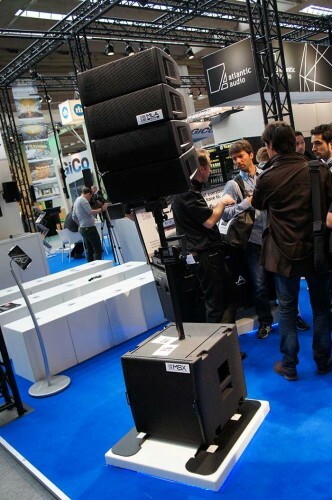 Stated Martin Audio marketing director, James King: “The introduction of MLA in 2010, MLA Compact in 2012, and now MLA Mini at this show, represented to customers a complete offering of venue solutions. Not surprisingly, interest was overwhelming with all our distributors placing orders to fulfill the anticipated demand, while new customers were keen to buy into it. Certainly the world’s trade press thought so judging from the record attendance — easily the largest media gathering to the unveiling of a new product in the company's history. The sales force worked tirelessly to demonstrate the design inspiration that had gone into producing this ultra-compact, light weight, scalable solution — with the complementary MSX mini-sub power plant housing the amplification, networking and DSP necessary to power and control itself and four MLA Mini enclosures. 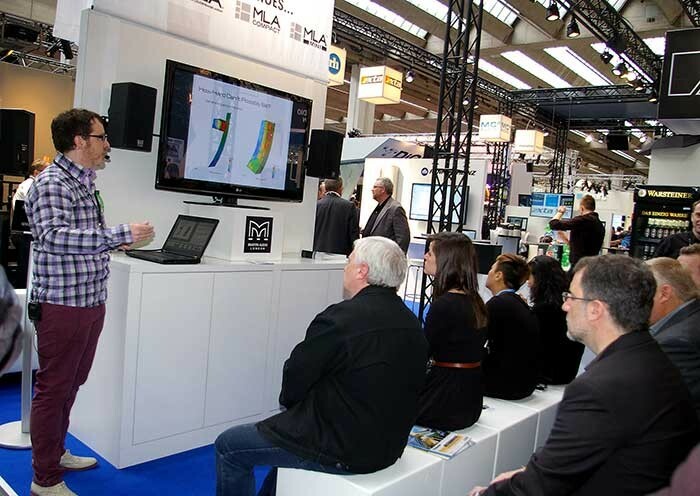 While they delivered the sales message, R&D director, Jason Baird engaged in a series of technical seminars in the booth theatre, supported by key members of the live sound support team. But the new MLA Mini was far from a one trick pony. 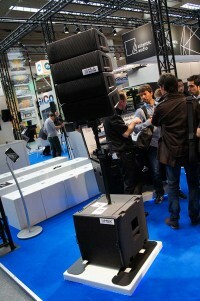 The stand was populated with the full MLA series (including Perspex versions) and other key items from the product portfolio, such as OmniLine, DD6, new XD12/XD15, three floor monitors (LE1200S, LE1500S, LE2100S) and three lightweight amps (MA3.0, MA2.0, MA2.8Q). And in between they also found time to confirm several new distributor appointments … such as InfoGroup from Turkey and Integrated Entertainment Solutions (IES) from India. 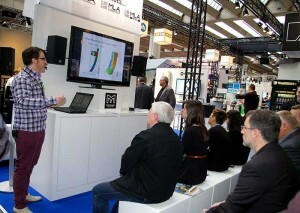 In picture: MLA Mini makes its debut at the booth; the world’s press arrive; Jason Baird unveils the mysteries of the MLA Mini.